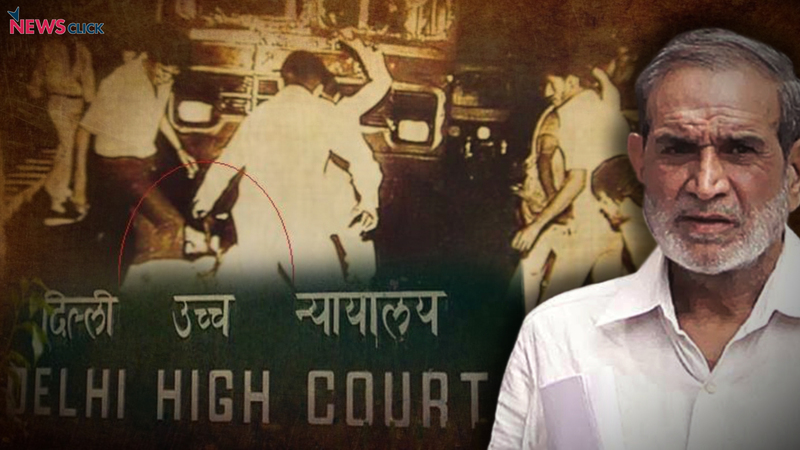 In 1984 anti-Sikh riots’ verdict, Delhi High Court sees ‘similar pattern’ in mass killings in Gujarat, Kandhamal, Muzaffarnagar, Mumbai. Congress leader Sajjan Kumar was on December 17 convicted for his role in the 1984 anti-Sikh riots, and was sentenced to life imprisonment by the Delhi High Court, reversing his acquittal by a lower court in 2013. A division bench of Justice S Muralidhar and Justice Vinod Goel convicted Kumar under Section 120B (criminal conspiracy) read with sections 302 (murder), 436 (mischief by fire or explosive substance with intent to destroy house, etc. ), 295 (injuring or defiling place of worship with intent to insult the religion of any class), 153A (promoting enmity between different groups on grounds of religion, race, place of birth, residence, language, etc.) and 153B (imputations, assertions prejudicial to national-integration) of the Indian Penal Code (IPC). Under IPC’s sections 302, 436 153A and 295 of the IPC, Kumar has been sentenced for life, i.e. the remainder of his natural life; rigorous imprisonment for 10 years, and a fine of Rs 1 lakh, and in default of payment of fine, simple imprisonment for one year; rigorous imprisonment for three years; and rigorous imprisonment for two years, respectively. Adding that “in India, the riots in early November 1984 in which in Delhi alone 2,733 Sikhs and nearly 3,350 all over the country were brutally murdered (these are official figures) was neither the first instance of a mass crime nor, tragically, the last. The mass killings in Punjab, Delhi and elsewhere during the country’s partition remains a collective painful memory as is the killings of innocent Sikhs in November 1984”, the court also mentioned about the genocides in Gujarat, Kandhamal in Odisha, Mumbai (post- demolition of the Babri mosque) and Muzaffarnagar in Uttar Pradesh, and found a similar pattern in all these mass crimes. “There has been a familiar pattern of mass killings in Mumbai in 1993, in Gujarat in 2002, in Kandhamal, Odisha in 2008, in Muzaffarnagar in Uttar Pradesh in 2013 to name a few. Common to these mass crimes were the targeting of minorities and the attacks spearheaded by the dominant political actors being facilitated by the law enforcement agencies,” read the judgement. It further added, “The criminals responsible for the mass crimes have enjoyed political patronage and managed to evade prosecution and punishment. Bringing such criminals to justice poses a serious challenge to our legal system. As these appeals themselves demonstrate, decades pass by before they can be made answerable. This calls for strengthening the legal system. Neither ‘crimes against humanity’ nor ‘genocide’ is part of our domestic law of crime. This loophole needs to be addressed urgently”. Killing of innocent people in communal and sectarian violence is nothing new in the country. The court walked the memory lane, and said that in the summer of 1947, during partition, this country witnessed horrific mass crimes where several lakhs of civilians, including Sikhs, Muslims and Hindus were massacred. The court cited a then young poet, Amrita Pritam, who fled to this country with her two little children from Lahore, was witness to the manifold tragedies during that perilous journey. She was moved to pen an ‘Ode to Waris Shah’ in which she spoke of her fertile land of Punjab having “sprouted poisonous weeds far and near”, and where “Seeds of hatred have grown high, bloodshed is everywhere / Poisoned breeze in forest turned bamboo flutes into snakes /Their venom has turned the bright and rosy Punjab all blue”. Thirty-seven years later, the country was again witness to another enormous human tragedy. Following the assassination of Indira Gandhi, the then Prime Minister of India, on the morning of October 31, 1984 by two of her Sikh bodyguards, a communal frenzy was unleashed. For four days – between November 1 and 4 of that year – all over Delhi, 2,733 Sikhs were brutally murdered. Their houses were destroyed. In the rest of the country, too, thousands of Sikhs were killed. A majority of the perpetrators of these horrific crimes enjoyed political patronage and were aided by an indifferent law enforcement agency. The criminals escaped prosecution and punishment for over two decades. It took as many as 10 committees and commissions for the investigation into the role of some of them to be entrusted in 2005 to the Central Bureau of Investigation (CBI), 21 years after the occurrence. The present appeals arise as a result of the investigation by the CBI into the killing of five Sikhs in the Raj Nagar Part 1 area in Palam Colony in Southwest Delhi on November 1 and 2, 1984 and the burning down of a Gurudwara in Raj Nagar Part 2. The six accused, including Sajjan Kumar, who was a Member of Parliament at that time, were sent up for trial in 2010. Three years later, the trial court (District & Sessions Judge, Northeast district, Karkardooma Courts, Delhi) convicted five of the accused – three of them for the offence of armed rioting and murder, and two of them for the offences of armed rioting. Kumar stood acquitted by the trial court of all offences. The convicted accused well as the CBI appealed to the High Court. On December 17, the HC partly allowed CBI’s appeal and reversed Kumar’s acquittal. The court also convicted him for the offences of criminal conspiracy and abetment in the commission of the crimes of murder, promoting enmity between different groups on grounds of religion and doing acts prejudicial to maintenance of communal harmony, defiling and destruction of the Gurudwara by burning. Further, while affirming the conviction and sentences awarded by the trial court to the other five accused, the court additionally convicted and sentenced them for the offence of criminal conspiracy to commit the aforementioned crimes. The accused in the case have been brought to justice primarily on account of the courage and perseverance of three eyewitnesses: Jagdish Kaur whose husband, son and three cousins were among the five killed, Jagsher Singh – another cousin of Kaur – and Nirpreet Kaur, who had seen the Gurudwara being burnt down and her father being burnt alive by the raging mobs. “This court is of the view that the mass killings of Sikhs in Delhi and elsewhere in November 1984 were in fact ‘crimes against humanity’. They will continue to shock the collective conscience of society for a long time to come. While it is undeniable that it has taken over three decades to bring the accused in this case to justice, and that our criminal justice system stands severely tested in that process, it is essential, in a democracy governed by the rule of law to be able to call out those responsible for such mass crimes. It is important to assure those countless victims waiting patiently that despite the challenges, truth will prevail and justice will be done,” the court concluded.